As I finally had a painting area set up I thought I would start repairing the Balikbayan Box damage – the damage after the move from Singapore to Manila. 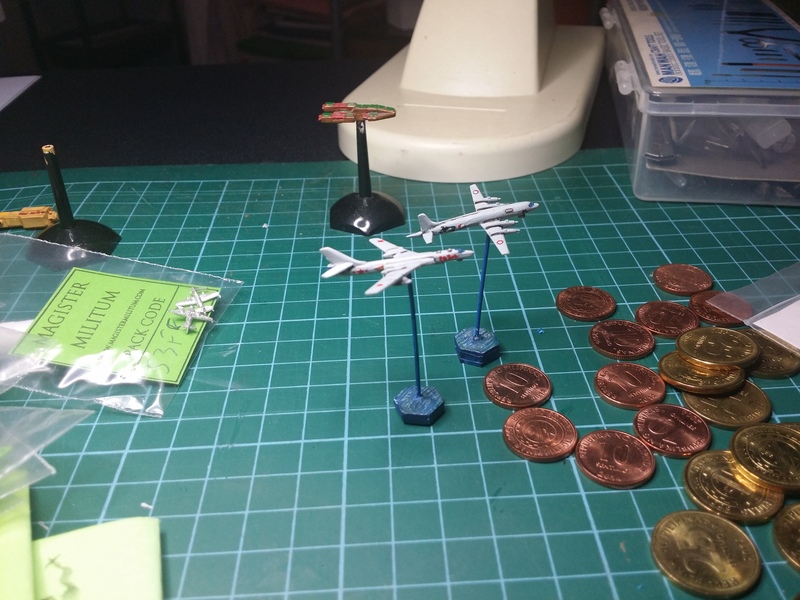 The 1/1250 scale aircraft were the first cab off the rank. The damaged aircraft were an Indian Naval Air Force Il-38 May and a Chinese People’s Liberation Army Navy Aircraft Tu-26 Badger. The Il-38 had developed a really weird dihederal during transport. 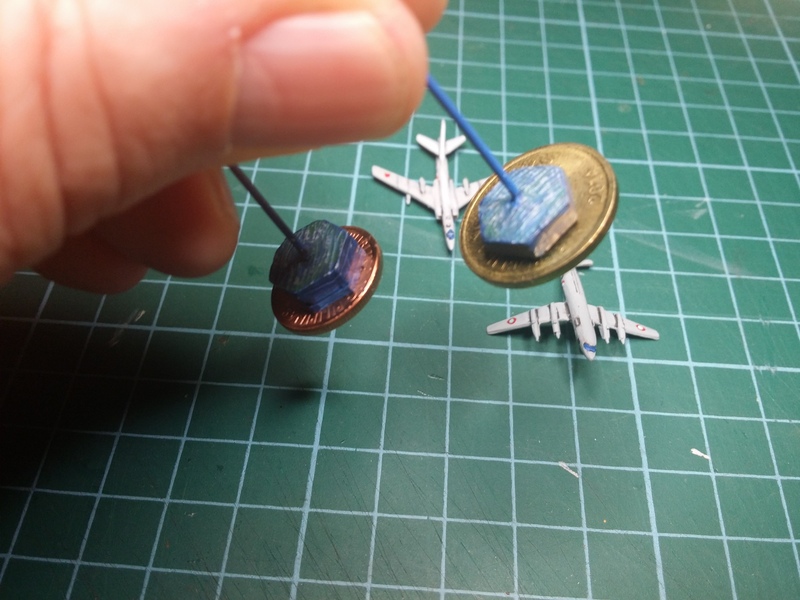 So, dihederal corrected and a touch of super glue Gel and the aircraft are as good as new. What is a little more interesting at the moment are the coins. There is a collection of 10 and 25 piso coins on the table as well. These are reasonably new here from what I can determine and whilst the 25 piso one looks brass and the 10 piso coin looks copper, both are magnetic. I noticed the same thing in Singapore with the new coins there, Regardless of the silver appearance, they were also magnetic. I’m starting to wonder now either what the metal is they are made of or what is added to the coin to give it the magnetic features. 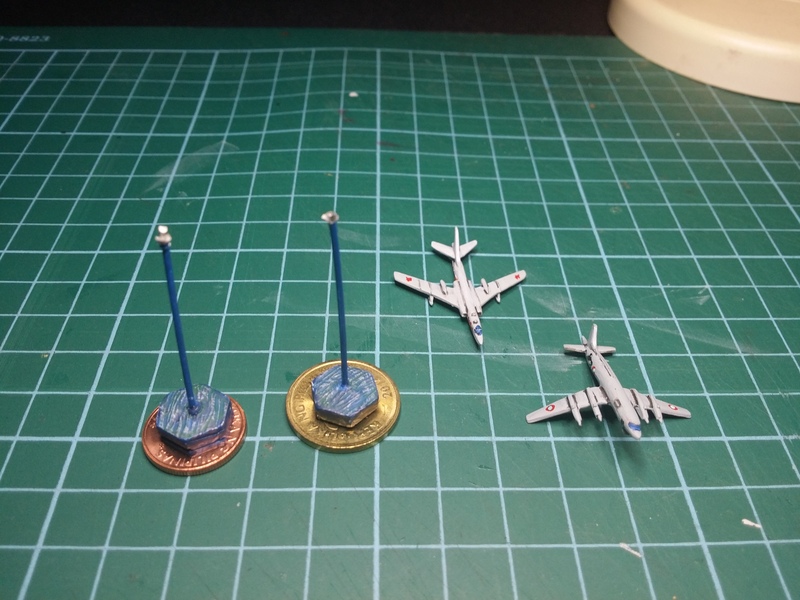 Previous Article Back at the Painting Table … Finally!